White card with lime green stripes on either side that have baby flower buds growing up them on a vine. 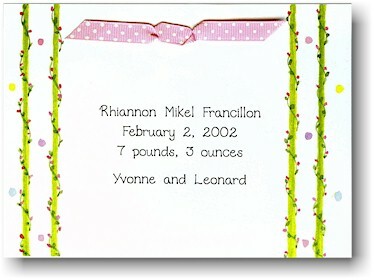 Card is shown with OPTIONAL pink ribbon with white polka dots (Pink Dot R-04). White card with lime green stripes on either side that have baby flower buds growing up them on a vine.